Home » Vesta Products » What is UltraFucoidan™? UltraFucoidan™ is a complex polysaccharide consisting of fucopyranoside and natural sulfate from brown seaweed. Brown seaweed is a major component of diets of the Japanese, who are long known for having the highest life expectancy rates. Vesta UltraFucoidan™ is the best fucoidan available today with over 25% sulfate content with the fewest impurities and for maximum bioactivity. UltraFucoidan™ prepared using a 100% water extraction process with NO hexane, ethanol, or other solvents. 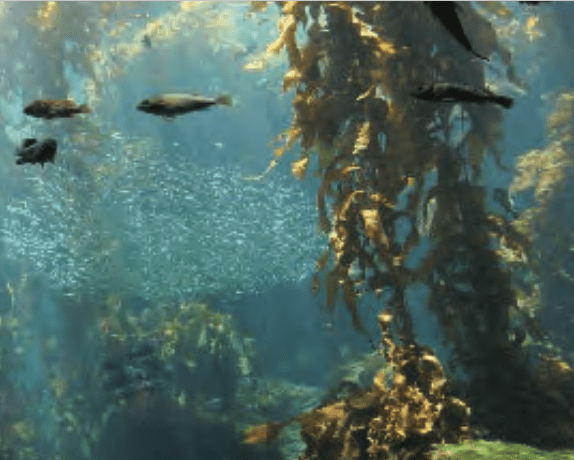 UltraFucoidan™ has a higher concentration of Fucoidan than most products on the market. Fucoidans are sulfated polysaccharides found in the cell-wall matrix of brown algae and in some marine invertebrates that contain high amounts of L-fucose. They also contain other monosaccharides (mannose, galactose, glucose, xylose, etc. ), uronic acids, acetyl groups, and protein. The source of UltraFucoidan™ derives from the Laminaria and Undaria species grown in Korean ocean waters, which are considered an enriched and natural body of clean, unpolluted water. UltraFucoidan™ is a highly bioactive compound isolated from natural marine plants of pristine ocean waters. Our proprietary manufacturing technologies allow us to maximize the sulfate content to optimize therapeutic properties. In addition, the fucoidan extracts are combined with rich polyphenol antioxidants for additional immunity support. The applications are endless for pharmaceutical, nutritional, dermatological, and medical device applications. UltraFucoidan™ is a complex sulfated polysaccharide consisting of various monosaccharides, uronic acids, and natural sulfate from brown seaweed. Brown seaweed is a major component of diets of the Japanese, who are long known for having the highest life expectancy rates. UltraFucoidan™ has a strong effect on supporting the immune system for enhancement of osteoblast production and healthy connective tissue. Fucoidan is an intense antioxidant and has also been shown to stimulate the production of immune cells to prevent disease. UltraFucoidan™ activity is related to sulfate content and position, molecular weight, and monosaccharides composition. The higher content of sulfate groups often presents the higher biological activity in native fucoidans. UltraFucoidan™ has over 25% sulfur content, higher than competitor products, for superior bioactivity and effectiveness. * These statements have not been evaluated by the Food and Drug Administration. This product is not intended to diagnose, treat, cure or prevent any disease. This information on this website is provided for developmental purposes only. This is not a specification, a guarantee of composition, or certificate of analysis. The information contained herein is correct to the best of our knowledge. Recommendations and suggestions contained on this website are made without guarantee or representation as to results. We suggest you evaluate these recommendations prior to use. Our responsibility for claims arising from breach of warranty, negligence, or otherwise is limited to the purchase price of the material.